Nigeria’s ex-international, Christian Chukwu is reportedly battling prostate cancer, which had seen him had surgery five days ago. Norbert Okonkwo, media officer of Enugu Rangers said that Chukwu had a successful leg surgery five days ago. According to Okonkwo, “Christian Chukwu has prostate cancer which affected his leg. He had an operation last week and discharged on Thursday but went to stay in a hotel on doctor’s advise to avoid being disturbed by visitors. 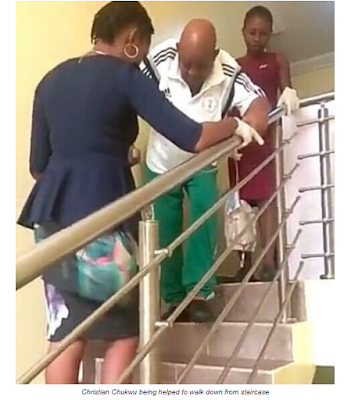 He explained that the club management alerted the governor of Enugu State about the situation, and that the governor gave cash for his treatment. According to TheCable, Chukwu a former player and technical adviser of the Rangers International had a seven hundred naira (N700,000) monthly take home from the club. Early reports on the health challenges of Chukwu revealed that there was need to raise the sum of $50,000 for his round trip to the United States, surgery, medication and general after-surgery care. 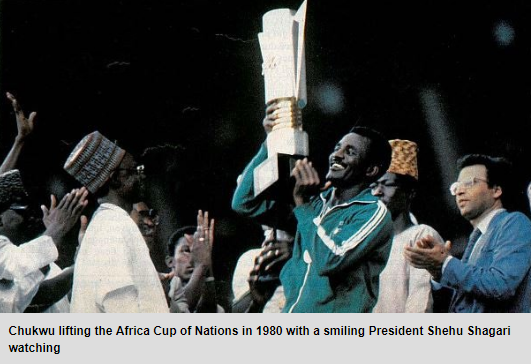 Christian Chukwu captained the Green Eagles to Nigeria’s first African Nations Cup in 1980.